All speakers and organizations wanting to participate in the 2012 ARRL New England Division Convention program, please contact us at your earliest opportunity. Note the dates for the convention this year: August 24 – 26, 2012. While there has been good response to date, open program hours remain available. Contact us if you wish to present a talk; include a subject title and, if you are so prepared, include a brief abstract. If you represent a regional club or organization (e.g. NESMC, CEMARC, MARS, NEWS etc.) we can help facilitate open forums or closed meetings by providing you a meeting room. We do ask that organizations like this to please consider Sunday morning time slots for their closed meetings. Groups looking to set up information booths should get your request in early. While the information booths are offered without charge, we ask for some volunteer time in return to assist us with ticket sales and other logistics during the convention operation. Note, if you require a hotel room, make your reservations ASAP per the instructions contained on the web site to get the special convention rate. Keep an eye on the convention web site, http://www.boxboro.org, for the latest information. The ARRL New England Convention, “Boxboro!”, is around the corner!! It’s at the Holiday Inn Boxborough, in Boxborough, MA. There are ICS and Skywarn courses on Friday, August 27 (signup will be required). The Flea Market and Exhibits run Saturday, August 28 and Sunday, August 29. There’s the Friday night Contesting Dinner, the Saturday Night Banquet with keynote speaker ARRL CEO Dave Sumner, K1ZZ and the ARRL Wouff Hong Ceremony on Saturday at midnight. Go to www.boxboro.org to see the latest details. There’s still time to order your tickets. Visit www.boxboro.org and click on BUY TICKETS. Remember, tickets for the Friday Contesting dinner and Saturday Banquet must be preordered. We’ve asked MEMA to hold a special ICS-100 training class for any and all ham radio operators during the Boxboro ARRL New England Ham radio convention. On Friday August 27 from 9am to 4pm, we will be offering an in person ICS-100 training class. If you are involved or want to be involved in emergency communications or emergency management with any government or non-government agency, they will require you to have taken this class, and some others. The training class is Free, and you will need to bring your lunch, or buy it there. On Saturday and Sunday August 28 and 29 there will be many other seminars and events including a flea market. Go to http://www.boxboro.org for details. The Minuteman Repeater Association Foxbox will be hidden and activated at the ARRL New England Division Convention in Boxboro on August on August 27, 2010 before 6 PM. It will continue to operate during the Convention. According to a special edition of the organization’s newsletter, the device will periodically transmit on 145.630, PL 146.2. It will be moved on Saturday at around 5 PM to a new location. MMRA will publish a list of those who find the box on Friday and Saturday at their booth by noon on Sunday. The successful foxhunters’ identities will also be announced in the MMRA September newsletter. Please see the note from Massachusetts State RACES Radio Officer, Tom Kinahan-N1CPE, on ICS-100 Training being offered at the ARRL New England Division Convention and Hamfest in Boxboro, Massachusetts. during the Boxboro ARRL New England Ham radio convention. We are working on a convention schedule full of interesting speakers as well as bringing in leading vendors from across the country. Best of all, we are holding all ticket prices at 2008 levels. I hope you will plan to attend! As you have probably heard by now, the ARRL New England Convention, “Boxboro!”, is only days away. The convention begins Friday, August 22 and runs through Sunday, August 24. There’s still time to preorder your tickets at http://boxboro.org (through August 20). Tickets for the Friday DXCC dinner and Saturday Banquet must be preordered. If you’d prefer to wait, you can also purchase General Admission and Flea Market spaces as the door. Either way, we hope to see you there! Between the internet and cell phones, we have all seen a lot of mainstream repeater operation become stagnated. However, 900 MHz repeater operation has seen dramatic sustained growth in 2008. One reason has been due to availability of “the new surplus” of very inexpensive, high quality 900 MHz commercial gear. Find out what all the talk is about. * Rick Zach, K1RJZ will give a quick introduction to “the new surplus”. * Depending on audience desires, Randy Krenz, N3HFK has several end-user topics prepared ranging from “what radios should I use” all the way to “how to link repeaters”. The audience will determine the direction. * John Frye, N1OTY will have a presentation on the high-end Motorola MSF5000 repeater. In 2008, approximately fifty of these surplus repeaters have inexpensively landed in the hands of New England hams with many becoming IRLP-linked repeaters. Part-2 of this presentation will continue at the Fall 2008 Nearfest. The [Minuteman Repeater Association] Foxbox will be hidden [at the ARRL New England Division Convention in Boxboro] on Friday afternoon before 3 PM. The Foxbox periodically transmits on 145.630 PL 146.2. The box will be moved Saturday at around 5PM to a new location. A list of those who found the box on Friday/Saturday will be posted in the MMRA booth by 8AM on Sunday. All who found the box (including those who find it after being moved on Saturday evening) will be announced in the September MMRA newsletter. Let us know if you would like to have an experienced Foxhunter give you tips or even potentially lead you on a fox hunt. in emergency management, if possible. 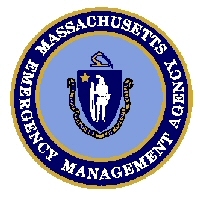 MEMA’s training web site can be reached at: http://www.mass.gov/mema and click on the “Training Registration System” link on the right side of the page. [The Minuteman Repeater Association] will be sponsoring talk-in for the ARRL New England Convention on August 22, 23, and 24. This is a great event stock full of commercial vendors, flea market sellers, and interesting speakers. The event also sponsors the special event station W1A and a number of other activities. The pre-registration for this event has just opened. To buy tickets or just learn more, visit their website at http://www.boxboro.org. We are well into the planning phases of the 2008 edition of the ARRL New England Division Convention. This is a call for speakers and other participants to fill out the convention program. Note the new dates for the convention this year: August 22, 23 and 24.The venue is the same as it has been for many years now, Boxboro. If you would like a return engagement, you are more than welcome. We have some 50+ hours of programming to fill. For those that have already contacted us, Thank You! Please drop me a note indicating your willingness to participate. At this point a subject title is fine, if you are so prepared include a brief abstract. If you are a representative of a club or organization (e.g. NESMC, CEMARC, MARS) we can help facilitate open forums or closed meetings by providing you a meeting room. We are asking organizations like this to please consider Sunday time slots. Additionally club or organization information tables can be arranged. Please get your request in early. We are asking volunteer assistance in return for the table to help us with parking, ticket sales and other convention logistics. Keep an eye on the web site, www.boxboro.org, for the latest information. ARRL Headquarters web site is carrying this news item about League President Joel Harrison, W5ZN addressing the faithful at the ARRL New England Division Convention in Boxboro August 26-27. Help Promote Boxboro On Your Club Web Site! Attention radio club webmasters: there’s an easy and effective way for your club to promote the upcoming Boxboro/ARRL New England Division Convention. Please consider placing a Boxboro logo or button on your web site. It’s easy to do! There are some example images and accompanying snippets of HTML code on http://ema.arrl.org/mod.php?mod=userpage&page_id=55. With Boxboro less than five weeks away, we need everyone’s help to ensure this convention is the best-attended, most successful Boxboxo yet! We’ve been working on a bunch of things for the Boxboro New England Division ARRL convention on August 25, 26, and 27th. 9am-5pm ICS-100 Training. This is one of the requirements to work with any Emergency Management and even NGOs like Red Cross and Salvation Army, going forward. On Saturday we also have confirmation that MEMA will have the Mobile EOC from 9am to 5pm on site for tours. There are many more events happening as well. We’re working to complete the signup forms for the ICS-100 class and when we do, we’ll try to get the widest distribution possible of that event information. We can always use friendly faces in the crowds, so please help start get the words on out these opportunities. Organizers for the 2006 ARRL New England Division Convention (Boxboro) are calling for speakers and other participants to register for inclusion in the program. Clubs and organizations (e.g., NESMC, CEMARC, MARS) are especially welcome to hold open forums or closed meetings at the convention. Caruso is asking that these groups consider signing up for Sunday time slots. Please note the new dates for the convention this year: August 25, 26 and 27. Visit http://www.boxboro.org for the latest news and information about the convention. 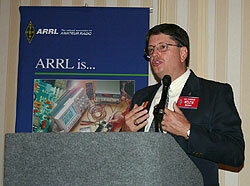 Ken Caruso, WO1N may be contacted by emailing WO1N@ARRL.NET or calling 978-952-5377 (Days), 978-663-3027 (Evenings). Listings in the July QST “Hamfest Calendar” (pp. 93-95) contained incorrect information, including an erroneous entry for a 2005 Boxboro New England Division ARRL convention! This has caused confusion among some League members in Eastern MA and elsewhere. New England Division Director Tom Frenaye, K1KI writes, “A story about the errors was published on the ARRL web site last Wednesday.” He adds that the August QST will be out in mid-July with the corrected listings.